The MiniJet Series from S.T. Dupont is the perfect lighter for everyday usage thanks to its compact size and effortlessness. 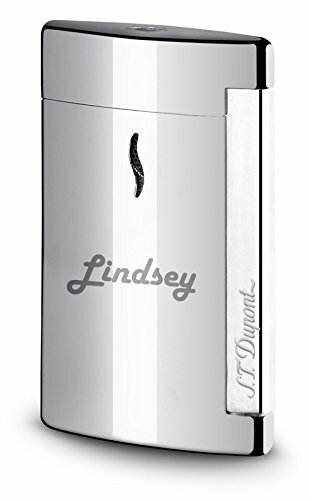 The sleek and elegant single jet flame lighter is built with a strong brass body, coated with a shiny chrome epoxy lacquer to create a hard-wearing and durable product. The single-action ignition brings to life a powerful blue flame, lighting your cigars or cigarettes in a matter of seconds. Order yours today from eLighters! Please note that this product ships with no butane due to shipping regulations. The Lighter is Made From Brass Coated With Colored Epoxy Lacquer Making it Long-lasting.